Artist/Author : Cobb, G. and R.C. Willan. 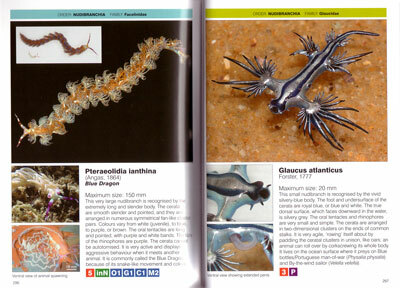 This is a guide to the nudibranchs of south-eastern Queensland. The book is easy to use and, as these animals are among the most colourful and charismatic of marine creatures, a pleasure to peruse. 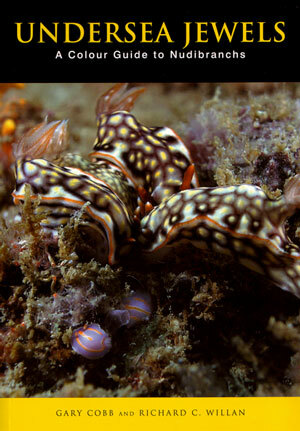 It covers 277 species of nudibranch (in the broad sense, i.e. = opisthobranchs) all found on the Sunshine Coast of southern Queensland, but most also found elsewhere in Australian seas and many occurring in the broader tropical Indo-West Pacific Region. Beautifully illustrated, with photos by naturalist/diver Gary Cobb and colleagues, and text by marine biologist, Richard Willan, the book provides a bridge between professionals and amateurs, and will do much to raise and enhance awareness of the marine invertebrate community, and to encourage its conservation. Australian Biological Resources Study, January 2006. 312 pages, paperback, colour illustrations. 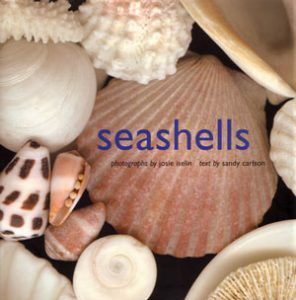 Introduces the reader to seashells in all their variety, explaining why they look as they do, as well as looking at the exotic and the familiar, from tropical corals and rare fossils to everyday clamshells and barnacles. Photographs by Josie Iselin. The search for the giant squid: the biology and mythology of the world’s most elusive creature. 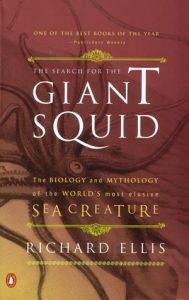 Marine biologist, explorer, and artist Richard Ellis delves into myth, literature, and science to bring readers face-to-face with this remarkable animal. Interweaving his narrative with a wealth of illustrations and photographs, Ellis presents a scientific and cultural history. 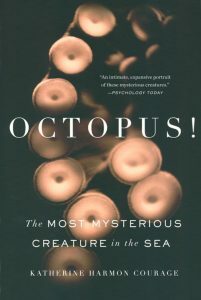 Octopuses have been captivating humans for as long as we have been catching them. Yet for all of our ancient fascination and modern research, we still have not been able to get a firm grasp on these enigmatic creatures. Katherine Harmon Courage dives into the mystifying underwater world of the octopus and reports on her research around the world. She reveals, for instance, that the oldest known octopus lived before the first dinosaurs and that two thirds of an octopus’s brain capacity is spread throughout its arms. Filled with interviews with leading experts, this book is both entertaining and scientifically grounded. Artist/Author: Harasewych, M.G. and Fabio Moretzsohn. Co-authored by one of the world’s pre-eminent scholars, this book illustrates a life-sized collection of 600 of the world’s most significant shells. Each entry is accompanied by a miniature line-drawing and beautiful life-size photograph enabling rapid identification, whilst magnified details reveal the diversity of pattern. 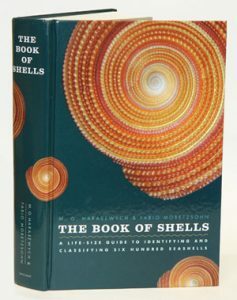 The result is a beautiful book that is both a significant resource for enthusiasts and scholars, and the most visually stimulating guide to shells you could wish to find.